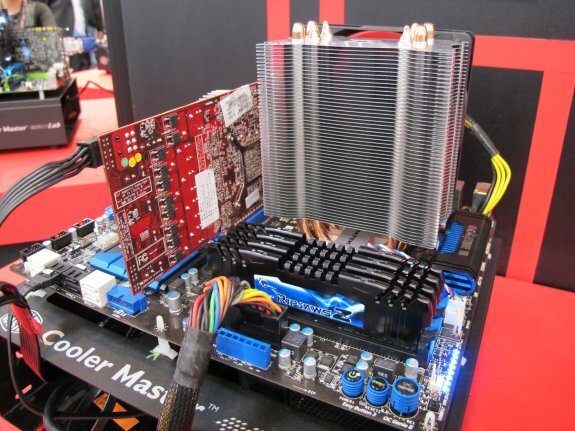 G.SKILL, the worldwide leading high performance memory designer, has showcased the extreme dual channel memory kits, DDR3 2133MHz 32GB (4x8GB), compatible with the latest Z77 motherboards at CeBIT 2012. Working closely with leading motherboard manufacturers, G.Skill is ready to provide PC enthusiasts the best dual channel memory for the upcoming Z77 motherboards. On the MSI Z77A-GD65 and ASRock Z77 Extreme6 motherboards, G.Skill has demonstrated the 32GB super size memory kits at DDR3 2133MHz ultra high speed with Intel Core i7 2600K processors. “It’s just a warm-up. We are working on some faster memory kits and they will be released soon. It’s going to be an exciting time” said Paul Chen, senior R&D manager at G.Skill.